This week I was off to speak to a group of moms and dads on a couple of high impact topics, that of burnout and the other on attachment. As with other speaking events I go to, one particular actuality jumps out at me and it steams me. Yes, it upsets me greatly. Many parents lack certainty and confidence in their God-given calling as parents, and it isn’t their fault. This culture and society, mostly in media and via entertainment, has undermined the natural and innate role of parents. Not only that, because of various historical traumas and social engineering, the torch of parenting know-how has not been effectively passed in recent generations. All this has assaulted the confidence of mothers and fathers, leaving them doubting and worrying about their parenting choices. We’ve kicked parenting in the gut and mocked and insulted this noble calling. Parents are injured and work hard to sort through all the conflicting and confusing messages on how to raise and form their children. 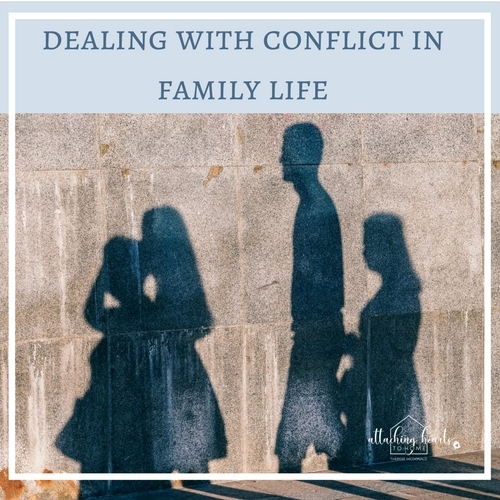 Some of the more recent trends have done real damage and have created conditions in the home that erode attachment, destroy first time obedience, and allow for disrespectful conduct on the part of children. Each day I talk to good parents, loving parents, parents who are giving their all, and at the end of the day, they still feeling robbed of a peaceful and joyful home. Just like many issues of our time, all the common-sense traditions of the past that worked have been complicated and buried with innovative systems that look to re-design family life. You know what? Parents have been equipped to fulfil their calling. They have all it takes to be marvellous in their leadership, formation, and guidance. There are key tools, the stuff of the centuries, bestowed by God, that are there to recapture and implement. It isn’t complex, rather, it is simple. Timeless wisdom, skills, and tools can belong to us all. Lets make parenting less difficult. Can’t things be more straightforward? Yes they can be! It may mean re-patterning and changing old habits. It may mean gaining knowledge and understanding of the lost tools of parenting. Perhaps reconnection and healing has to happen. Whatever it is, time to put confidence back into parenting and stop destabilizing the home. Ready to take back your parenting confidence? Good! Let me set the stage for you, first. "Hush up, you discouraging media! Quiet - you deflating ads and movies! Enough, you faddish and shallow trends! No more of the disparaging messages that ridicule fathers! Stop you radical feminist denigration of the stay at home mother! Back are the sensible messages of hope, strength and support of traditional parenting!" Here's the one statement that can help you take back your parenting confidence in a sea full of mixed messages. I have been equipped by God to fulfil my calling of parenting my child/children. I’m bent on reminding every parent of this truth. It is my goal to honour the inner expertise that every parent has within them. Do not doubt that you are here with these children and for these children for such a time as this. Lay hold of this truth with confidence. Is your Parenting Confidence shaky due to crisis and/or exhaustion? Book a free discovery call with Therese and take a heart to heart look at solutions to help overcome your parenting dilemma.